The six major candidates seeking to be our State’s next Governor sure didn’t plan to have the department of families and Children (DCF) as a huge campaign issue, but that’s what it now is. The facts emerging from the DCF’s failed oversight of 5-year old Jeremiah Oliver cry out. Oliver’s social worker missed several mandated visits to his home but put “visit made’ into her case log; and her supervisor confirmed that the visits were made. When Oliver disappeared –months later, he has yet to be found — the failure and cover up left the DCF’s higher-ups nowhere to hide. “Glen Shor serves as Secretary of the Executive Office for Administration and Finance. He is responsible for managing state finances, including preparation of the governor’s budget recommendation, development of a state capital budget, managing budgetary activities across state government, and developing long-term fiscal policy. He also oversees the state agencies that provide core administrative services in the Commonwealth, including the collection of state taxes, the administration of IT services and the management of human resources in state government. …here we are, with a scandal and anecdotal talk of many other missed visits by social workers and slack oversight by DCF managers, and the blame machine is already whipping up pies to the face of DCF’s higher-ups. I find the furor misdirected. Has anyone bothered to notice that, since 2009, the DC budget has fallen by 100 million dollars ? this, during years when our State’s population of homeless and of families in need has increased mightily. If we want to make events like the Jeremiah Oliver failures less common, we need to restore the 100 million dollars cut from the DC budget — the Governor’s $ 9.2 million budget increase hardly matters ! The DCF needs to monitor social worker visits not in log books but via the internet; to install check-in software in social workers’ cell phones, so that managers know where they are during work hours; to give DCF managers software and smart phones, fully applicationed, so that case loads can be managed, on an ongoing basis, in real time. We need to reset DCF process so that Olga Roche — or whoever succeeds her as DCF commissioner — has on her schedule an in-person meeting at each DCF area office on a revolving basis, with Roche on the road, like a Circuit Judge making rounds, managing the entire DCF not from an office in a Boston State administration building but from an iPad in a state car serving as her mobile headquarters. Political campaigns operate that way in this year 2014. Why not State governance ? It’s more important that Roche have a state car and a driver than that she have a large office in a state building. 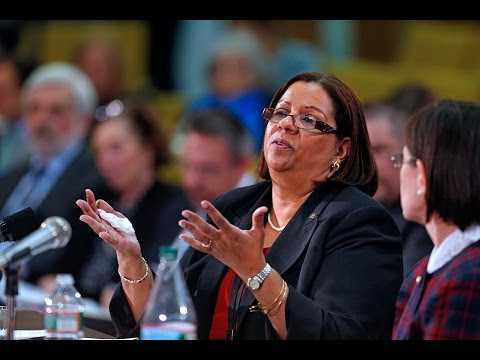 It’s more effective that she hold monitoring sessions — including questions and answers and monitoring reviews — at each local DCF office than that she await reports coming to her from the managers of those offices. After all, social workers have to visit the children whose cases are theirs to oversee. Why shouldn’t Roche, or her successor, do likewise ? DCF is an agency that operates by visits. This should be its strategy top to bottom, bottom to top. It will be interesting to hear and read the DCF reform plans that each of the major Governor candidates presents to the voters. If they do present one. Meanwhile, Commissioner Roche is reportedly slated to receive a $ 10,500.00 pay raise. 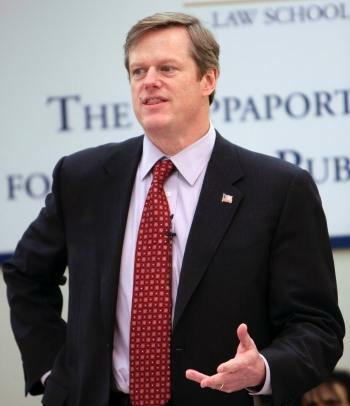 UPDATE 02/17/14 10.30 AM : Charlie Baker, the likely Republican nominee for Governor, has called for Olga Roche’s resignation. Many — but not all — GOP legislators have also made this call. To me it seems a bit premature and quite misdirected; but perhaps Baker will explain.